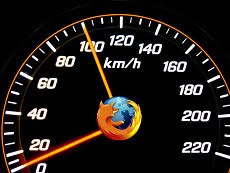 Hacks to Make Firefox Faster than Google Chrome: Google Chrome has now eclipsed Mozilla Firefox in the speed category. However, I still use Firefox as my main web browser because it is still better than Chrome in certain areas. But just recently, I tried a few tweaks that significantly improved the speed of Firefox making it a little bit snappier than the latest version of Google Chrome when loading webpages. Set their values to “true” by double-clicking each one of them. Double-click and set the value to 8. 4. Right-click anywhere inside the config page and select New --> Integer. Name it nglayout.initialpaint.delay and set the value to “0″. 5. Right-click anywhere inside the config page and select New --> Integer. Name it content.notify.interval and set the value to “500000″. 6. Right-click anywhere inside the config page and select New --> Boolean. Name it content.notify.ontimer and set the value to “true″. 7. Right-click anywhere inside the config page and select New --> Integer. Name it content.switch.threshold and set the value to “250000″. 8. Right-click anywhere inside the config page and select New --> Boolean. Name it content.interrupt.parsing and set the value to “false″. That's about it. You should be able to notice the speed improvement immediately after applying the above tweaks. Disabling Firefox addons that you don't use often, blocking flash content, and using a lightweight theme will also help speed up Firefox. Your post is very excellent from which I benefited a great deal. Thank you! I have translated it into Chinese. Welcome to your return visit. Very interesting! Could you please provide more informations about what these tweaks do? There is a Firefox Add-on called Tweak Network that has been around for several years now. It does a good job. An explanation for what every tweak does would be better so I don't feel like I'm randomly making it "better"..
"Some suggest that setting this preference to true on any OS will speed up connections, though this is probably a placebo effect." True. Disabling IPv6 helps only on systems that pretend having working ipv6 while they do not. If you are such case, then configure your OS properly. I made the changes, and showed a significant increase in load times. Not the effect I expected. I too would like to know what each of these hacks is doing. Am I sacrificing security for speed? If these additions are so great for performance why aren't they enabled in the first place? Firefox version Mozilla/5.0 (X11; U; Linux i686; en-US; rv:1.9.1.9) Gecko/20100330 Fedora/3.5.9-1.fc11 Firefox/3.5.9 on my Fedroa 11 machine doesn't have the entries. According to the MozillaZine documentation, content.interrupt.parsing must be true for content.switch.threshold to take effect, otherwise content.switch.threshold is effectively 0. Very nice. Could you supply a script to apply these updates to prefs.js? I maintain 7 FF installations, 2 Linux, 5 Win. Hi, thanks, but I am not a real fan of tweaking without knowing what I am doing, so would anyone mind to explain what exactly does these tweaks do and why is firefox faster after that? Thanks. This stops firefox from downloading pages (linked to on the current page) it thinks you might click on. Any ideas how to reset all settings in about:config to default at once? But when u do it and u exit out of firefox when u start it the first time it says its already running... hmm that's weird. but not as fast as chrome! True. Disabling IPv6 helps only on systems that pretend having working ipv6 while they do not. If you are such case, then configure your OS properly. Thanks for sharing...I did felt the speed increase! Kudos! This is Awesome i did this to my laptop and this computer and love it Thanks!!!!!!!!! So much faster almost load pages instantly now. LOL DOES THIS CHANGES THREAD MY SECURITY? its like my firefox is on steroids now. Try Thus One no Need to manually configure your FF Settings, NEW METHOD Speed Up Firefox In one Click..
didn't work for me. firefox 4 is just too fast to be improved. your the man!!! huray... for you jun. Only ignorant people use chrome? wtf, i dont want and i dont have the time to read a shitload of websites on how to make my browser go faster! that's why I and other people choose chrome, firefox is good, but chrome is faster, get over it you firefox faggots unless you improve your browser you'll lose all of your users to chrome, opera and ie. THE NEW FIREFOX is a load of rubbish, the previous versions where quick, easy and simple to use, now FIREFOX with the latest update has LOST THE PLOT, now its slower, unstable, and also you have a plugin container.exe which strangles your CPU. In short i loved firefox i wish i never updated to a newer version but now that i have ive gone to chrome. Its fast, simple, quick, and really easy to use.....actually its a breath of fresh air compared to both firefox and i.e. Its EASY, FAST AND SIMPLE..the three keywords when developing a browser, firefox take note. as of Firefox 6 i think this post is obsolete... FF6 is _as_ fast as Chrome, baby! Great tweaks Thanks It really help my slow comp. While I appreciate the intent behind this article, it would be vastly beneficial to explain what each of these changes does. I am hesitant to start editing configuration files unless I know what is affected. Secondarily, of course, I am also very eager to learn more about the inner workings of Firefox on my CrunchBang Linux system.